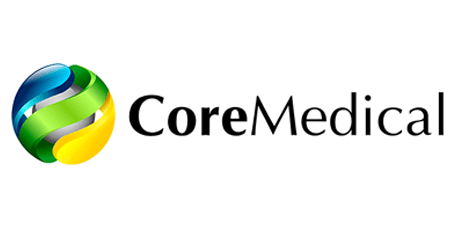 Regenerative medicine at CoreMedical focuses on using mesenchymal stem cells to support healing. When mesenchymal stem cells are injected into damaged tissues, they may reduce inflammation and support tissue healing. Kevin Gehin, DC, and the team at CoreMedical proudly offer this innovative procedure to patients suffering from back problems, whether the underlying cause is degenerative damage or a recent injury. To learn whether you’re a good candidate for regenerative medicine, call their office in Pittston, Pennsylvania, or book a free consultation online. Stems cells are highly specialized cells that can divide and reproduce indefinitely, as long as the cell is alive. Throughout your life, your body relies on adult stem cells to maintain your health by replacing old and damaged tissues. Adult stem cells can stay dormant for years, then divide and create new tissues when an injury or disease activates them. Your body has different types of adult stem cells. Some are limited to producing one specific tissue. Mesenchymal stem cells, however, are unique because they can become any type of tissue, including bone, cartilage, and connective tissue. How can mesenchymal stem cells help musculoskeletal conditions? Your mesenchymal stem cells are found in various areas of your body, including your bones and adipose tissue, or fat. The mesenchymal stem cells used for regenerative medicine at CoreMedical are harvested from donor tissue from the birth of live, full-term healthy babies who were pre-screened and pre-approved. For treatment, the medical specialists at CoreMedical inject the mesenchymal stem cells into your damaged tissue. Research indicates that the mesenchymal stem cells may stimulate the growth of new tissue to promote healing, reduce inflammation, and decrease pain. What health conditions benefit from regenerative medicine? Regenerative medicine may be able to improve musculoskeletal conditions that affect your knees, hips, shoulders, spine, elbows, hands, and feet. Research indicates that regenerative medicine may be especially beneficial for cartilage, which doesn’t heal well on its own. In some patients, regenerative medicine may prevent or delay surgery. To learn more about the benefits of regenerative medicine for managing your back and joint pain, call CoreMedical, or use the online booking tool to schedule an appointment.